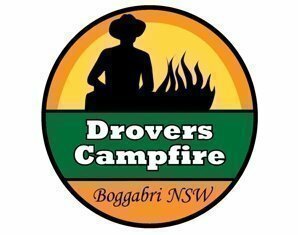 Established in 2006 the Boggabri Drovers Campfire is growing in reputation and fun activities every year. The event, which is held in Boggabri the town known as the “Little town with a Big Heart” is a friendly and welcoming place that puts on this great, not to be missed country event every year for your enjoyment. Since its beginning in 2006 it has grown, from 29 vehicles/caravans,12 tents and 57 people, to 502 vehicles and 1255 people in 2014. The Boggabri Drovers Campfire started winning awards in 2010 and has consistently taken out a number of awards each year from then on. The community of Boggabri is very proud of this event and the efforts the community go to to make this event happen every year. We thank the Boggabri Lions for all their support and the Narrabri Shire Council and the Information Centre who have played a large part in the success of this event. FOR POWERED SITES ONLY - MINIMUM 4 NIGHT STAY. PLEASE ENSURE YOU SELECT A MIN. 4 NIGHTS OR YOUR BOOKING WILL BE CANCELLED. PRICES ARE PER NIGHT - ADD 1 TO EACH NIGHT YOU WANT TO BOOK. Dogs on a leash are fine but will not be allowed in the meals & entertainment area under any circumstances.